Difference Between Rebuildable And Disposable Clearomizers? Disposable clearomizer tanks are the least effort to use and maintain, when they are dead you simply safely dispose of the entire tank and buy a new one. Disposable clearos such as the CE4 and CE5 are great for providing a decent hit and vape experience for a short term for a small amount of money. Re-buildable clearomizer tanks like the CE6, Aspire CE5 and EVOD MT3 for example usually offer more power (and sometimes more e liquid) capacity than the cheaper disposable ones and also offer the additional benefit of cheaper ongoing use. A typical replacement atomizer head unit will cost anywhere from 3-4 pounds. 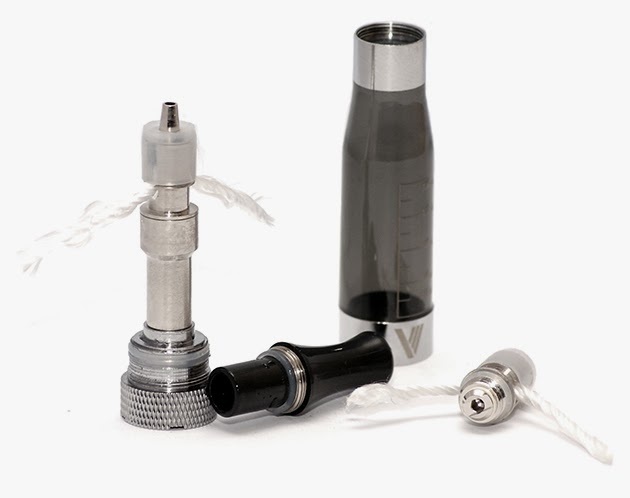 Instead of replacing the whole clearomizer tank when it comes time to renew your rebuildable you simply unscrew the tank unit and then unscrew the atomizer head (with or without wicks) and screw in your new one, put the tank back together and away you go. Self build clearomizer tanks are more complicated to use and are generally aimed at experienced vapers who have a degree of knowledge of vaping. A self-build tank allows you to build your own atomizer head to the resistance you require utilising silica wicks and kanthal. Once you understand and are comfortable with the technical part of building your own wicks then the cost saving is enormous.